The Wednesday Handicap League is back, so come on out, have fun, and make the next round your new personal best. For those unfamiliar with what this is, it’s really quite simple. You take the average of a certain number of rounds to get your handicap, and then try to beat that score. To clarify, using this year as an example, if you come out for 3 rounds and shoot an average of par, then your handicap is par. If you shoot 2 under par on your 4th round, then you beat your handicap by -2. This difference is then compared to the other player scores and the person with the largest difference (improvement), wins. The idea of this is to level the playing field between the divisions. Since you’re playing against your own score, if you’re showing improvement you get rewarded for it – yes, there are prizes! The 2017 Handicap League begins April 5th and will run through the summer until around September 13th. Start time is 6:30 PM however for the first few weeks (and likely the last few) we will start at 6:00. The cost for this is $7 with $2 going to the club for fund raising, $3 going to weekly prizes including a CTP prize almost every week (depending on the number of players and the funds available), and $2 going to the Ace Pot. To qualify for the Ace Pot you must have an established handicap (min of 3 rounds played). CTP prizes are open to all. The Ace Pot will have a set max payout of $100 with any money left at the end to be paid out in cash CTP prizes at the final event (as was done last year). The League Captain, or appointed individual, will be on hand to resolve any disputes or confusion. Please adhere to the normal club mandos and OB while playing. Have fun! All players must pay their entry fee before they begin their round. After the last card rolls out sign up is closed. All rounds must be recorded on the provided scorecard, or using an app like the PDGA iPhone App. PDGA rules are in effect. Each week will also be a Tag Match with all tags being turned in before the match and given out according to the lowest score (not handicap). Members must play a minimum 3 rounds to qualify for the season end tourney. The first 3 rounds will establish your handicap. Your final ranking will be based on the end of season tourney finish against your final regular season handicap. As this is a handicap league it’s anyone’s game. After you establish your handicap you only have to continue to improve upon your handicap to rise in the ranks. 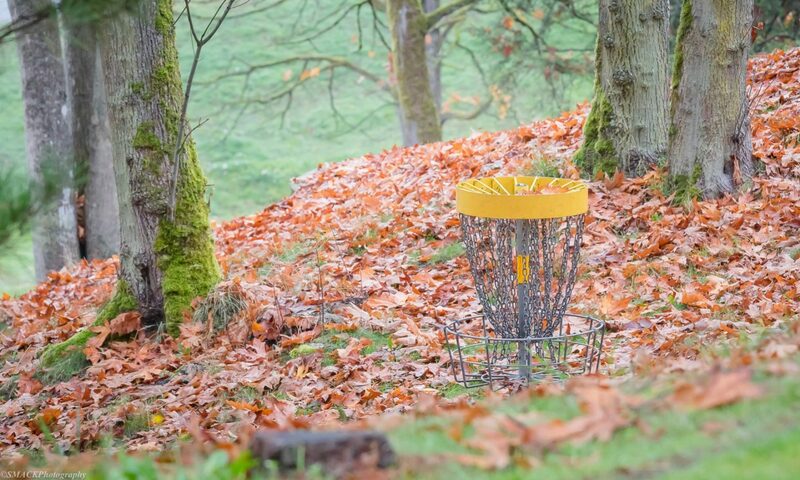 Please Note: a true handicap is actually much more complex to calculate than how we do things, and is dependent on data that simply isn’t available in the disc golf community. To make it easier for everyone we’re simply using an average.